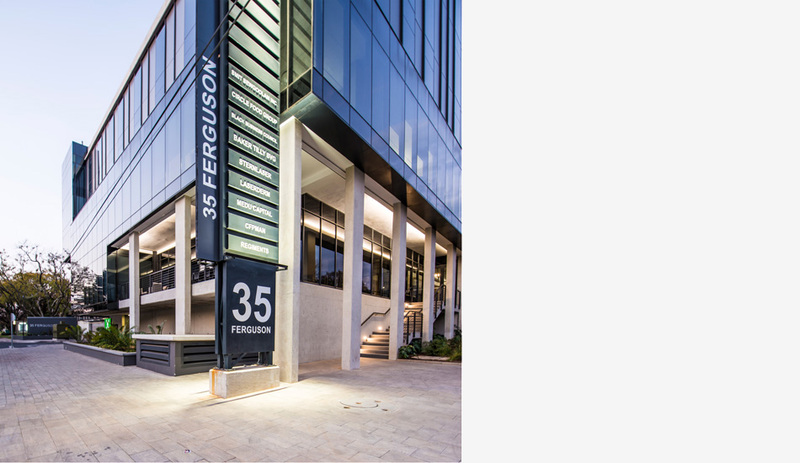 35 Ferguson is an A-grade commercial building located at the corner of Melville and Ferguson road, within close proximity to the Gautrain station in Sandton, was completed in 2015. 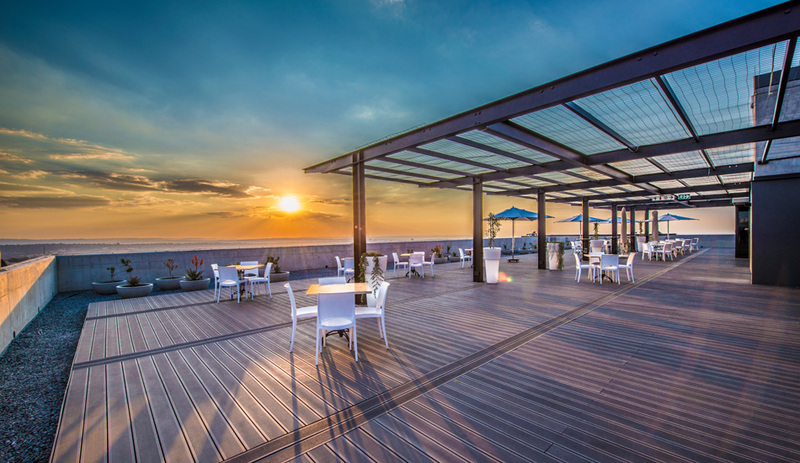 Whilst the confined nature of the site measuring 2 478sqm created challenges, it offered opportunities to explore creative ways of turning smaller spaces into generous spaces and to develop the site to its optimum bulk at a construction costs of R114m. This resulted in a compact geometric design, carved in and out to create positive spaces that defined the character of the building. 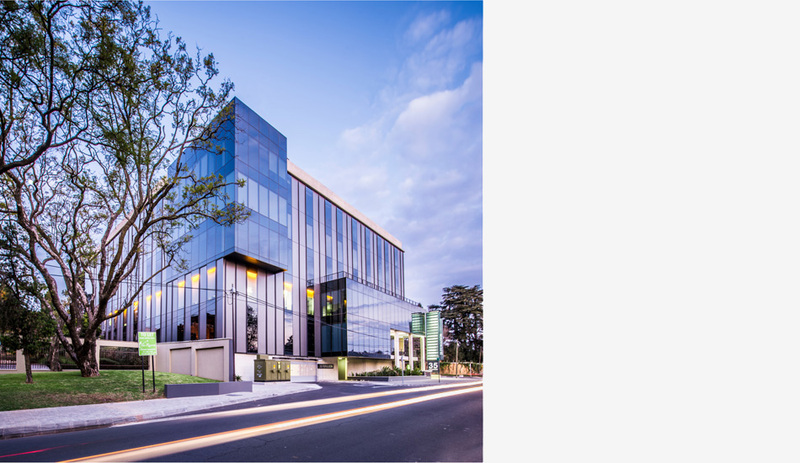 The building comprises of 5 levels of basement parking, 5 office levels and a rooftop restaurant on the 6th level. 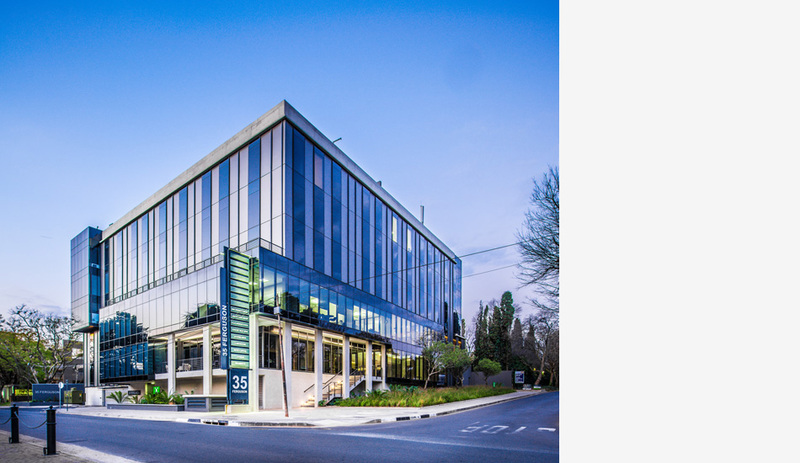 Each office floor wraps around the core, providing a robust and flexible office space easily adaptable for a multi-tenant or sectional title ownership. The fire escape staircase within the core is the main circulation stair, this was opened up and constructed in a wet curtain fire protection system, making the core transparent and much bigger.